3 Peg Perspex Stand SmallSize: 85cm x 60cm.. 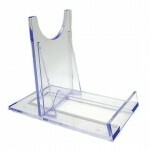 These 2-Part Acrylic Display Stands are perfect for showcasing your products.These slide so you can .. 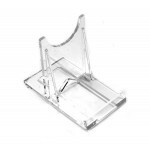 These 2-Part Acrylic Display Stands are perfect for showcasing your products. These slide so you .. Mineral & Fossil display stand made with metal and plastic .. 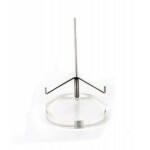 Display stand for spheres, balls, and eggs This three leg perspex stand is suitable for spheres fro..